A practical guide for leaders and leadership teams in Catholic schools. In the rapidly changing times we live, there is no room for complacency when it comes to Catholic identity issues. Importantly, just how can school leaders and leadership teams address those religious identity questions? 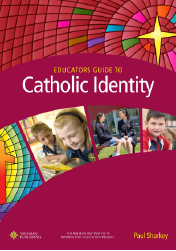 Discover the practical ways Australian schools are evolving their pastoral care programs, curriculum, pedagogy, liturgy and more to enhance their Catholic identity and offering students an even stronger, sustained engagement with their faith. Drawing on significant research and theoretical reflection, Dr. Paul Sharkey examines areas of modern-day school life and considers how each can provide opportunities to create ‘Catholic spaces’ that draw students in and deepen their relationship with God.